Hungry Ghost Festival, also known as the Ghost Festival is the 15th night of the seventh month in the lunar calendar where traditional Chinese believed that the gates of hell will open and ghost can return to Earth. 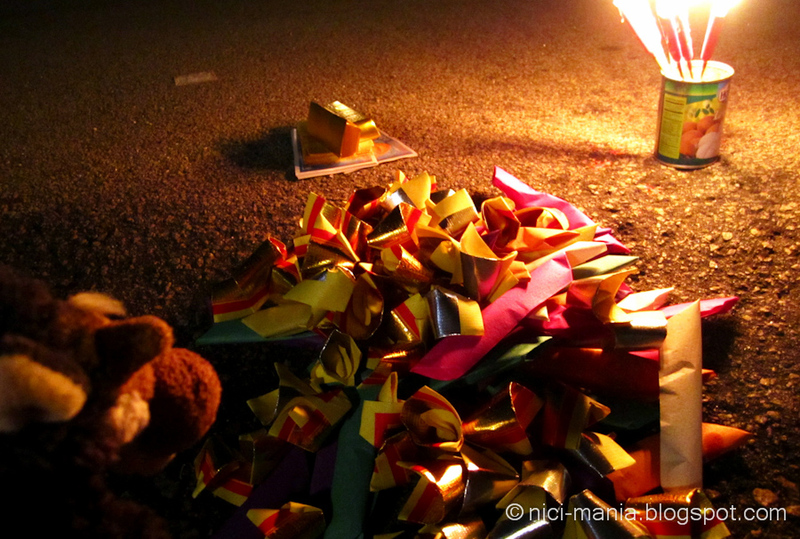 This year, Hungry Ghost Festival falls on last Sunday night. 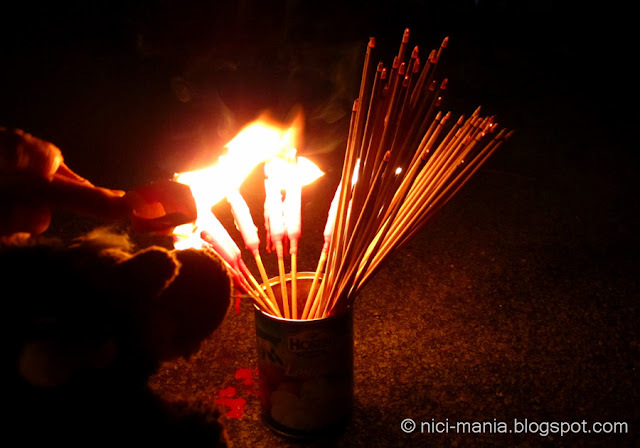 During Hungry Ghost Festival, Chinese people will burn incense, joss paper and food offerings as a customary tradition as they believe that the ghost of their ancestors will return to home. So these are a form of paying respect. Note: Don't try what mini Hugo did, the fire was very close to him. He almost became a Hungry Ghost Festival offering! 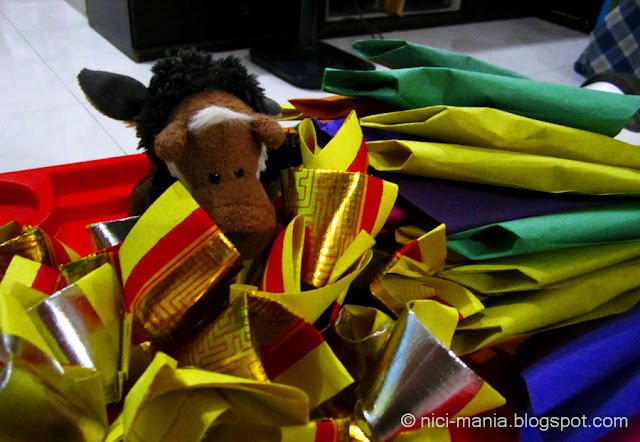 We take you back half an hour ago where Hugo Wolf is preparing the joss paper to burn later. 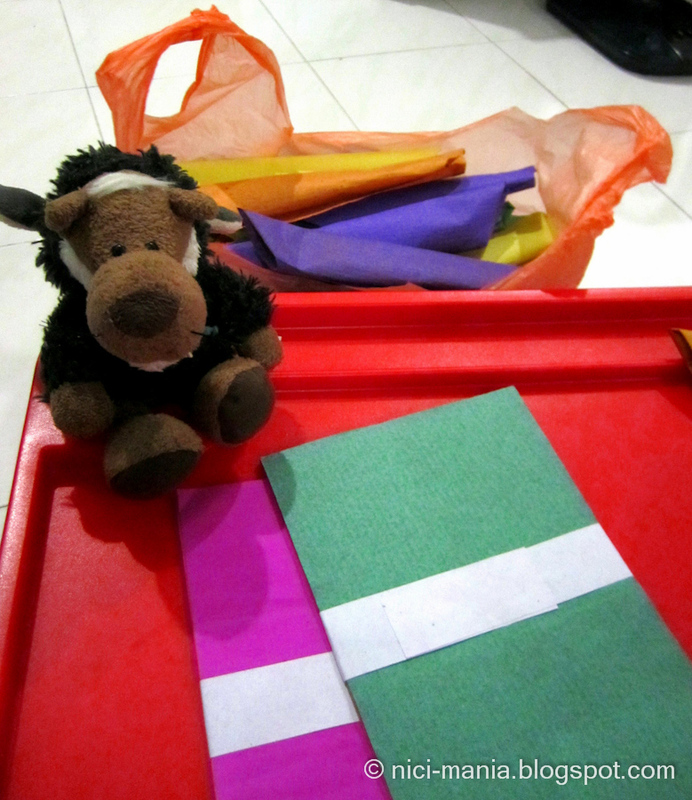 These colored papers actually represent cloth, thats why the many different colors. These cloth are meant to be burnt later for the ghost or spirits for them to make clothes! 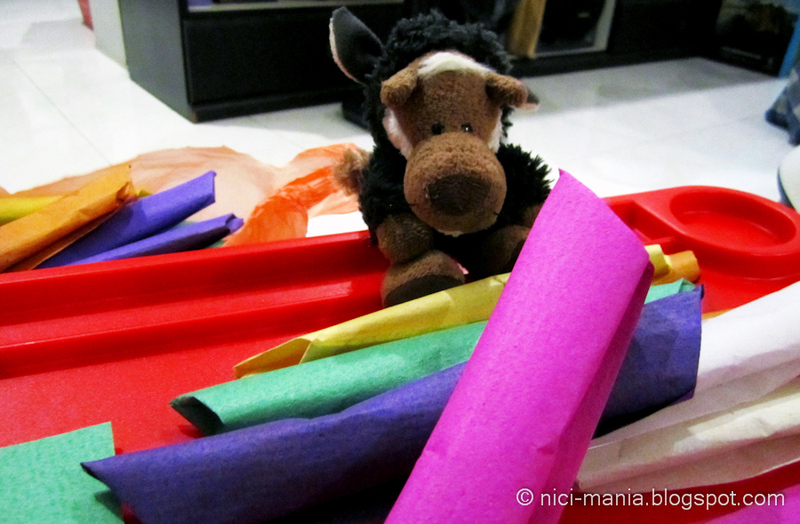 These colored papers are always a must-have for every ghost festival! We usually roll it up like this to mimic a real roll of cloth, and for easier burning this way. 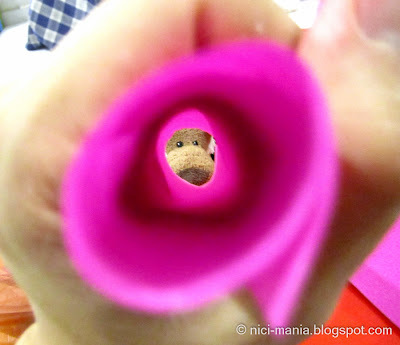 Hello Hugo! Don't let the name "Hungry Ghost" scare you, this is not a scary festival, it is a festival for paying respects to our ancestors. We have another type of joss paper here which we fold it into a traditional Chinese gold shape that represents silver and gold ingot currencies used in China before the 20th century. We are almost ready for the Hungry Ghost Festival. Gold bars are the hottest thing now when the shares plunged into abyssal recently. 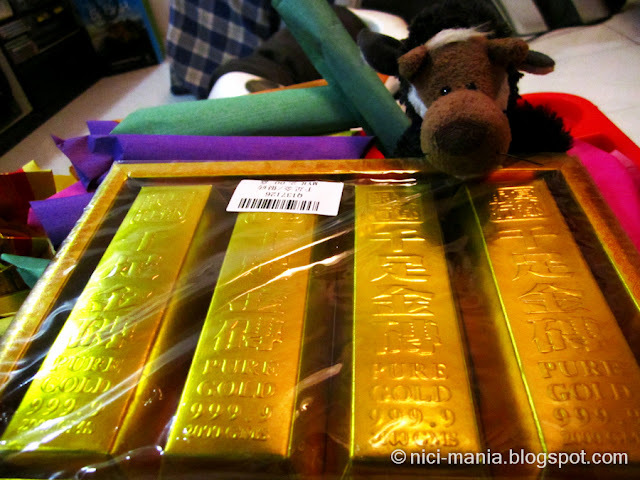 This is the first time we bought gold bars for Hungry Ghost Festival, this is gonna be very popular too for ghost in the other realm. We lay all the joss paper out on the floor, half of it at the front door and the other half at the back door. Burning red candles and incense are mandatory for Hungry Ghost Festival too. 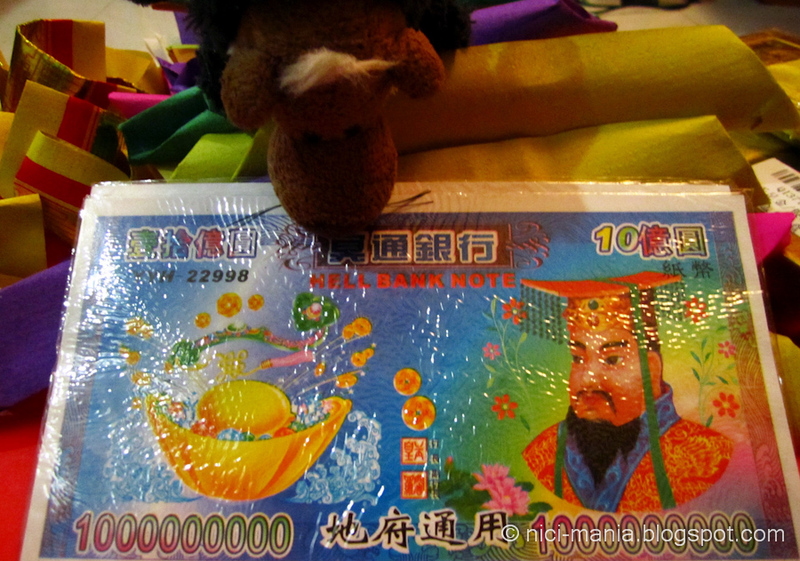 When all is ready, Hugo Wolf lights up one of the joss paper using the fire from the candle. This is our very simple Hungry Ghost Festival celebration, as you can see we do not have any food offerings nor a lot of joss papers. See you at next year's Hungry Ghost Festival again! We might do something different. 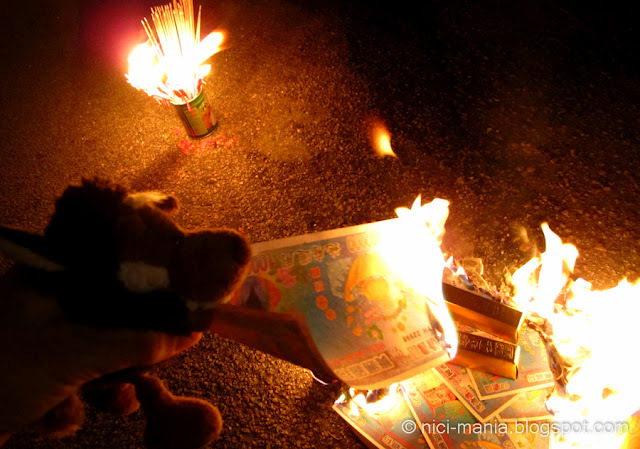 All the people from our generation still celebrate this festival because of our parents, Hungry Ghost Festival will surely be extinct when the upper generation phase out. 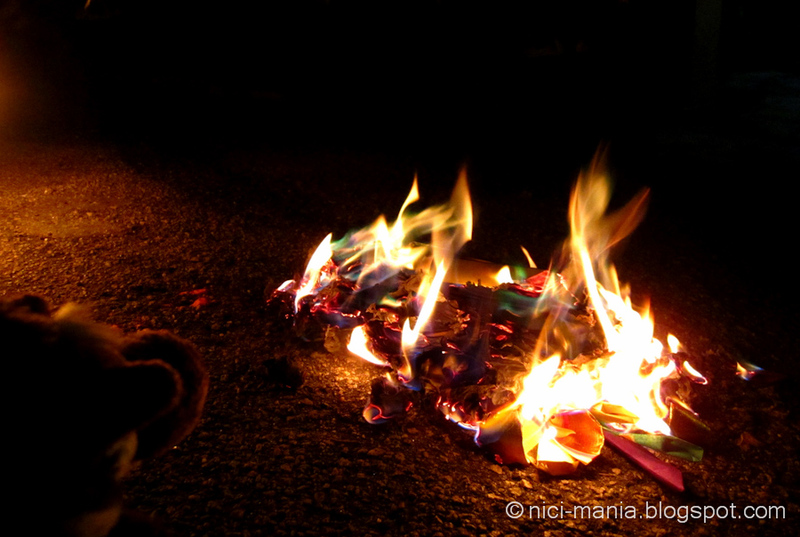 So we do cherish this festival now even though burning papers do hurt the Earth's atmosphere but what is this little pollution compared to us driving our cars? This looks like a beary fun festival! !.....provided that there are no real ghosts, Ben is a bit afraid of ghosts. Beware! to see if Hugo will burn hehe. @Bea: we always try to be careful but we like doing adventurous stuff! 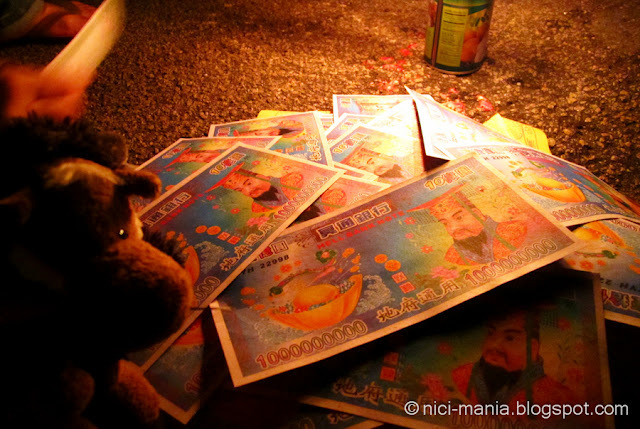 i have tot that Hungry Ghost Festival is one month long?